The Lucky Braids Essential Braiding Tool is designed by a professional braider for the utmost in speed and safety! Ruthann's braiding system allows you to not only braid faster, but also get a better feel for the sizing to yield more beautiful and durable braids. The straight hook does not loosen braid and the scissors are perfect for braiding and unbraiding- No more seam rippers! The comfortable and adjustable lanyard lets implements hang at wrists for easy access. 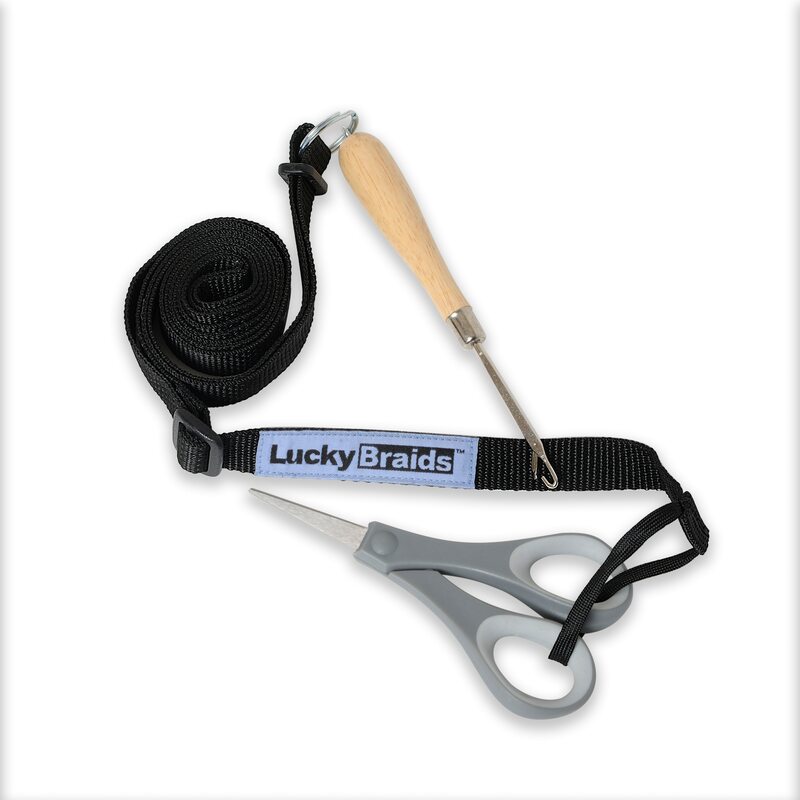 Lucky Braids Essential Braiding Tool is rated 4.0 out of 5 by 1. Rated 4 out of 5 by Quizo from Great tool for braiding! I got this before a show and it was a lifesaver to have! Easy to use and store, and the scissors are excellent quality. A little pricy for what you get.